CD11a (αL integrin, LFA-1 α chain) is a member of the integrin family. Like some other leucocyte integrins (CD11b, CD11c, CD11d), CD11a is non-covalently associated with the β2 integrin subunit CD18. 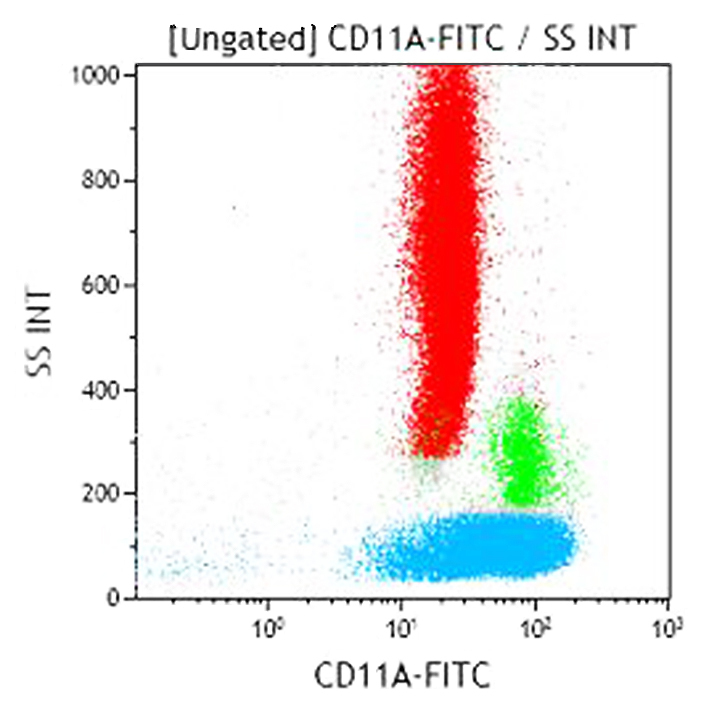 CD11a is a transmembrane glycoprotein of 170 kDa, mainly expressed by leucocytes including monocytes, macrophages, neutrophils, eosinophils, basophils, B and T lymphocytes. Activated platelets also express CD11a and CD18. LFA-1 (CD11a/CD18) promotes homotypic adhesion between lymphoid cells and heterotypic adhesion of leucocytes to the vascular endothelium. LFA-1’s known ligands are Intercellular Adhesion Molecules (ICAM): ICAM-1 (CD54), ICAM-2 (CD102) and ICAM-3 (CD50).